Engadget have picked up on this lovely limited edition box set of Beatles music. which comes with specially logo’d iPod. 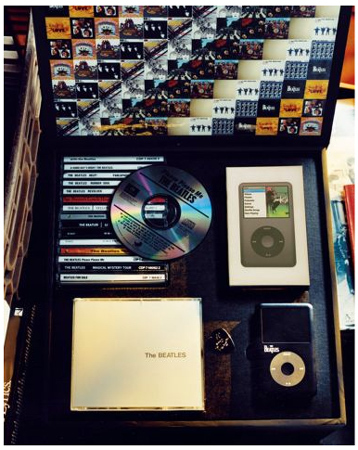 The irony is that the Beatles catalog isn’t available on iTunes so you’ll probably have to rip all the CDs in the set yourself.